Several of the films were screened at various events in 2008. 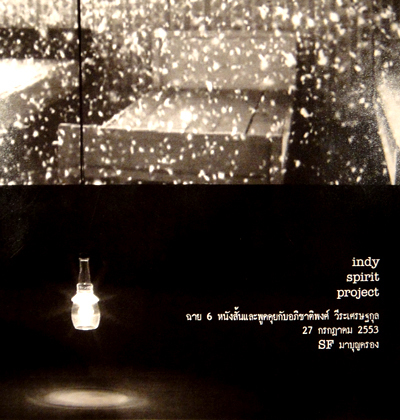 Luminous People and Morakot were both shown at the Thai Film Archive's Save The Film, and Ghost Of Asia and Morakot were both screened at The Jim Thompson Art Center. Apichatpong explained the inspirations behind each film, and there was a brief Q&A session. As in Syndromes & A Century and Uncle Boonmee, two of this evening's films included tributes to the director's parents: drawings of plants in My Mother's Garden, and a recreation of the scattering of his father's ashes in Luminous People.